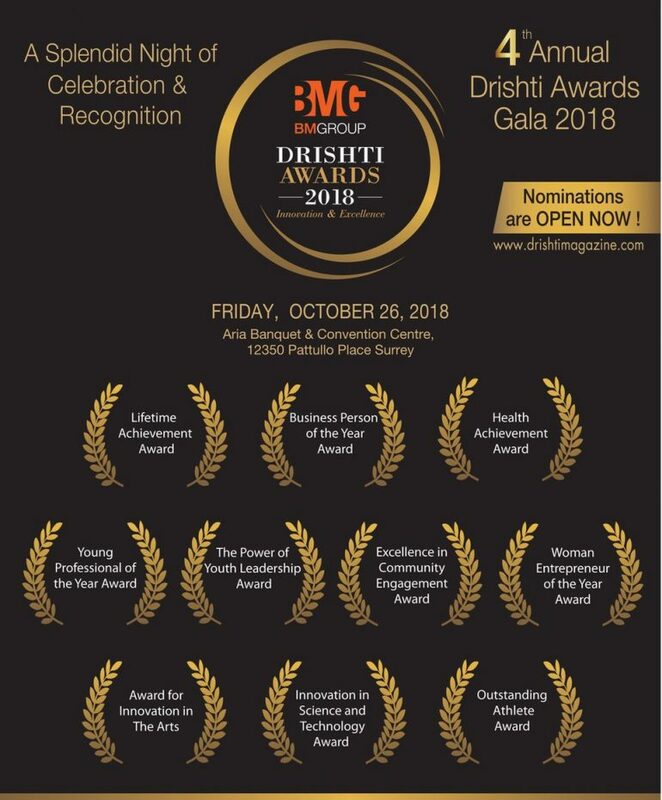 Drishti Media Group is spearheading this award granting recognition and celebrating the innovation and excellence of individuals who have done extraordinarily in their dedication and service to others. Drishti Media Group is spearheading this award granting recognition and celebrating the innovation and excellence of individuals who have done extraordinarily in their dedication and service to others. We are determined to honor individuals that devoted time and energy in making their community more dynamic, inspiring, caring, healthy, and outstanding. Of all the entries we receive, ten winners will be granted a DRISHTI AWARD trophy. Recognizing innovation and excellence, the DRISHTI AWARDS will showcase the best in Lifetime Achievement, Business, Community Engagement, Young Professional, Youth Leadership, Athletics, The Arts, Science & Technology, Health Achievement, and Women Entrepreneur of the Year. 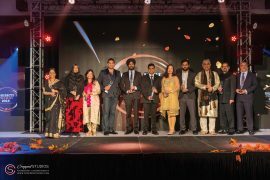 Taking place on Friday, October 26, 6 pm at the stunning Aria Banquet Hall and Convention Centre Hall Surrey, the 4th Annual DRISHTI AWARDS Gala will be the recognition event of 2018. This elegant evening will include a cocktail reception, entertainment with mesmerizing Bollywood numbers, award presentation, premier fashion show and ample opportunities to mingle with other amiable community leaders, professionals and business leaders. Visit www.drishtimagazine.com/awards and nominate someone you know.